Straznicky, Marta, ed. 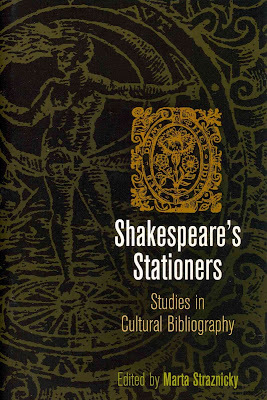 Shakespeare's Stationers: Studies in Cultural Bibliography. Philadelphia: University of Pennsylvania Press, 2013. Forgive the brevity of this post. I'm realizing more and more clearly that, if I don't jot down just a few notes on even the most important texts that I encounter very soon after I encounter them, I shall never jot down anything about them at all. This collection of articles about the book trade of Shakespeare's day is marvelous and meticulous. Not every article will appeal to all readers, but I'm confident that there's something here for everyone. I've been most moved by Kirk Melnikoff's "Nicholas Ling's Republican Hamlet (1603)" (95-111). It's encouraged me to return to a project I set out to accomplish many years ago: to read through Q1 of Hamlet—straight through, without reference to other editions of the play at all—in a facsimile. When the British Library revealed its astonishing on-line access to quartos of Shakespeare plays, I printed out Q1 of Hamlet with every intention of reading it through right away. Melnikoff's article has renewed that desire. 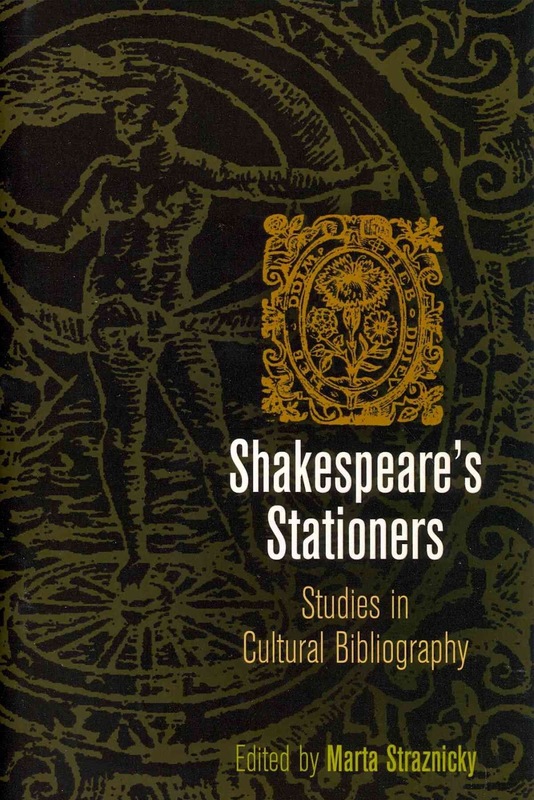 The entire volume serves to place William Shakespeare even more firmly in his cultural and historical context.